After Universal executives saw a test screening of Unfriended terrify a test audience, the studio acquired the thriller that was developed and conceived by visionary filmmaker Timur Bekmambetov. Directed by Levan Gabriadze, written by Nelson Greaves and produced by Bekmambetov and Greaves, as well as Jason Blum for Blumhouse Productions. 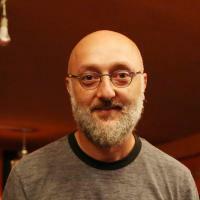 Leo Gabriadze is a Russian- based movie and commercial director. He graduated from UCLA and also studied animation at the Georgian State Theatrical Institute in Tbilisi. Since 2000, he has been a director at the Bazelevs production company and has made over 100 award- winning commercials. Unfriended is his second feature film.